Bricks and mortar retail face strong competition with e-commerce and the shift towards in-app purchases, particularly from Millenials and Gen Z. The online beauty conversation keeps consumers in the know. Savvy customers and beauty enthusiasts are going into 2018 looking for new and innovative offerings both in-store and online. So, how are beauty retailers bringing consumers back into store? Department stores reassess their beauty offering and the way they present brands to consumers. Moving away from the traditional counter approach from the Selfridges Beauty Workshop to Debenham’s latest Beauty Innovation launch. Designed by Umbrella Design, these installments to Debenhams beauty departments across the UK showcase products across a 10 step Korean skincare routine. Shoppers can peruse a selection of cult Korean beauty favourites from cleansing to protection and hydration. New launch, Indulge Beauty (Stratford Westfields) offers a vast range of brands including a substantial male grooming category. Most notably, is Korean brand Touch in Sol which had a positively electric reception upon its launch in the UK at the end of 2017. Beauty will continue to work its way into the fashion space. BeautyMART’s first concession launched on the third floor of Harvey Nichols and they now reside in Topshop Oxford Circus. 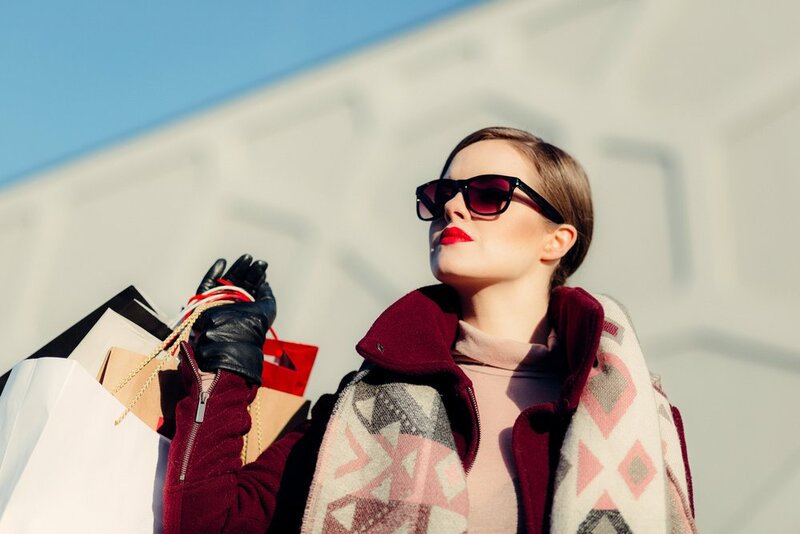 ASOS, Topshop, New Look and many other high street fashion brands are making their mark in beauty as a consistently profitable source. Retail in 2018 and beyond looks to immersive experiences (like L’Occitane’s new Canadian flagship store and Tom Ford's flagship in Covent Garden). There is more room for play, brand exploration and the self-care aspect that on counter treatments can offer. Whilst this was previously associated only with luxury services and spas, treatments from a blow dry to brow threading have gone mass. On the 18th January, Superdrug will launch Beauty Studio in their Fosse Park branch. A space offering treatment services from hair styling and beard trims to manicures at competitive prices. Read more via Niche Magazine. AR and VR will make their way into the in-store experience in an effort to upgrade personalisation. From colour matching app-based technology to checking skin hydration levels, this is a highly anticipated elevation in the customer experience. It adds a level of knowledge base that customers seek and allows them to continue exploring a brand once they leave the store. These technology advances will help to build a bridge between the online and offline worlds and strengthen engagement between brand and customer. However, as the retail experience upgrades at a much faster rate through mobile applications, brands will need to tread carefully not to over invest in retail space technology. AR, VR and 3D printing technologies will need to provide value beyond their current in-store novelty status - a topic discussed in the Beauty Look Ahead report. “Retail Shifts” and the “Technology Influence” are covered in depth in the Beauty Look Ahead Future Trends report.